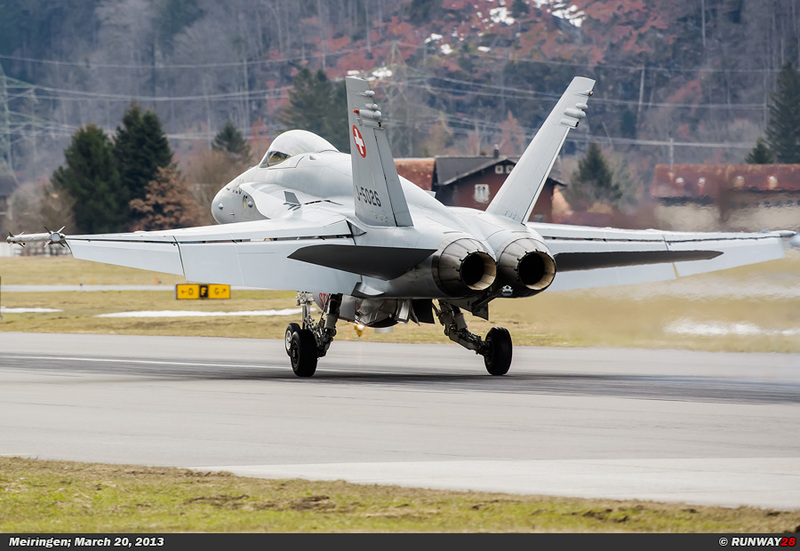 Instrumentenflugstaffel 14 is stationed at the Swiss airbase Emmen in the North-Eas- tern part of the country. 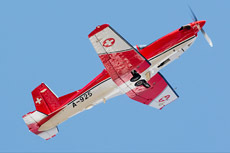 The unit is equipped with the Pilatus NCPC-7. 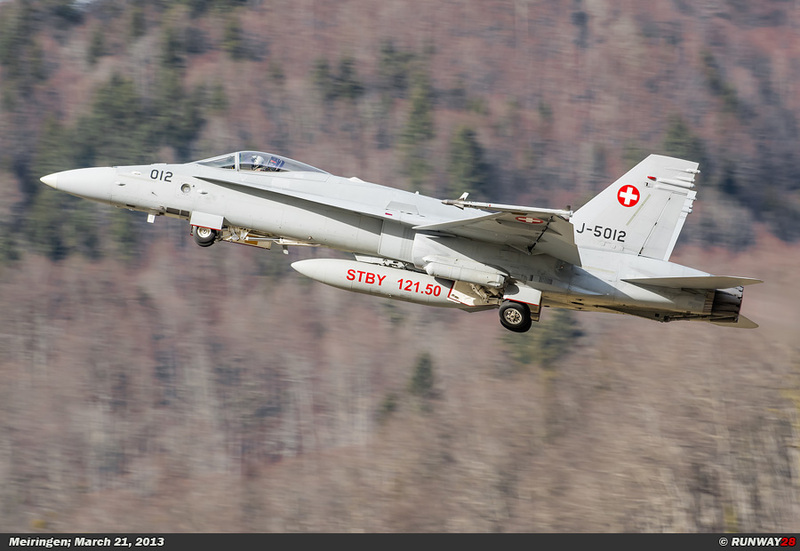 Instrumenten- flugstaffel 14 is part of the advanced pilot training of the Swiss Air Force. 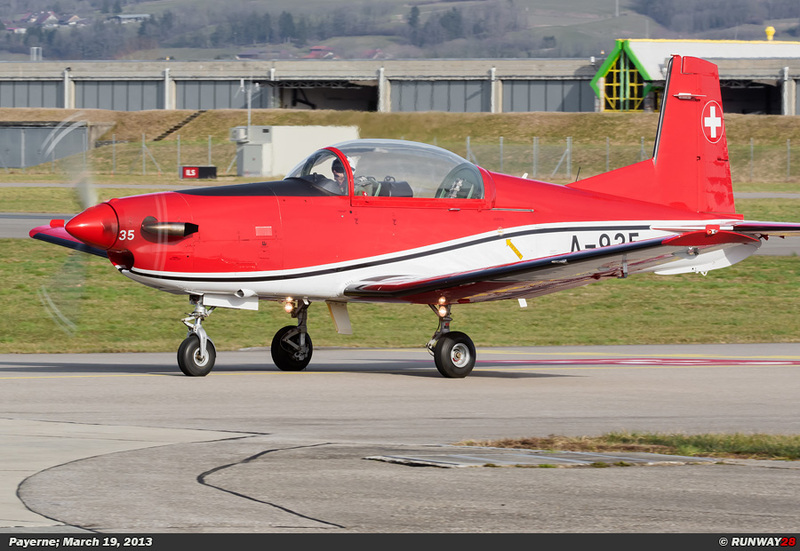 The unit had a small PC-7 detachment at the Payerne airbase in week 12. 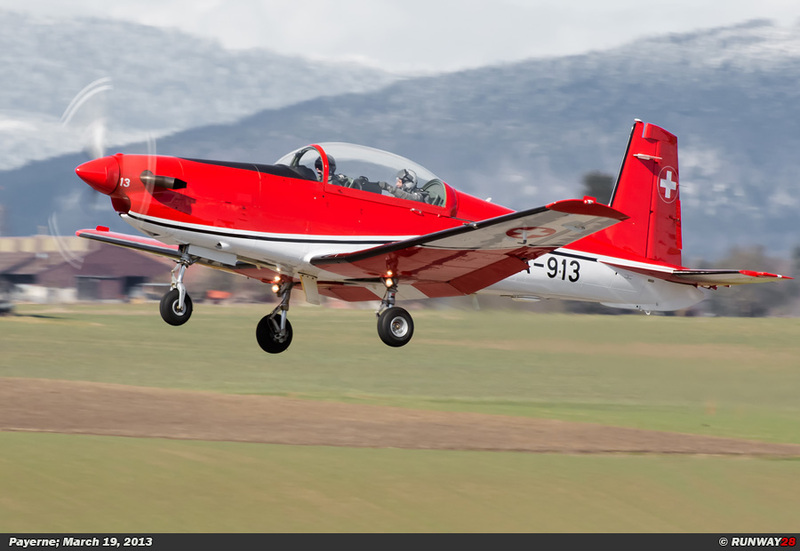 The history of the training aircraft of Pilatus began just after the Second World War in 1945 when, the Pilatus P-2 training aircraft was developed in Stans on initiative of the Pilatus factory. 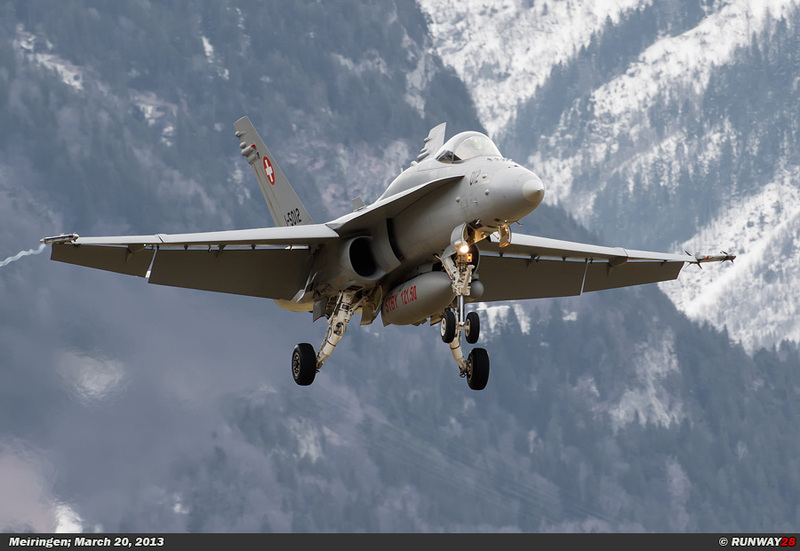 The new training aircraft entered service at the Swiss Air Force in 1947. 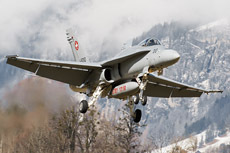 The aircraft was used for the training of pilots. 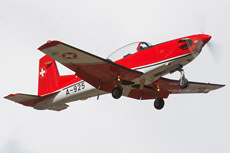 The Pilatus P-2 remained in operational service with the Air Force until 1981. 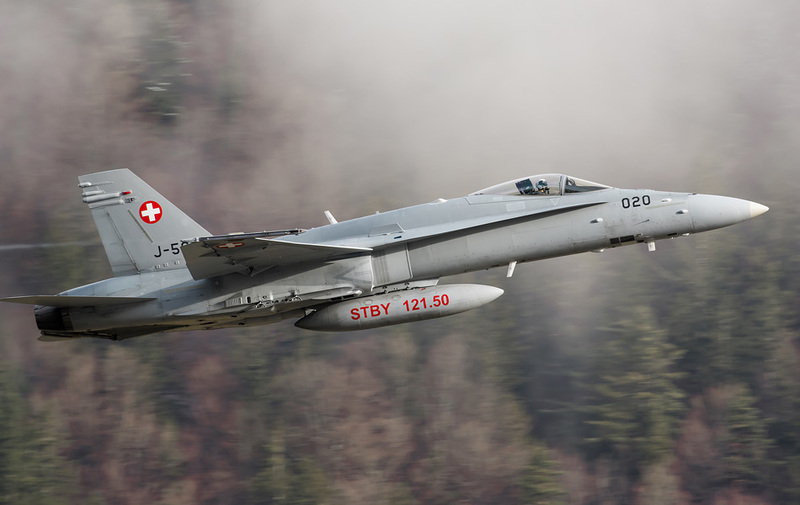 From 1956, the Pilatus P-3 entered service in the Swiss Air Force. 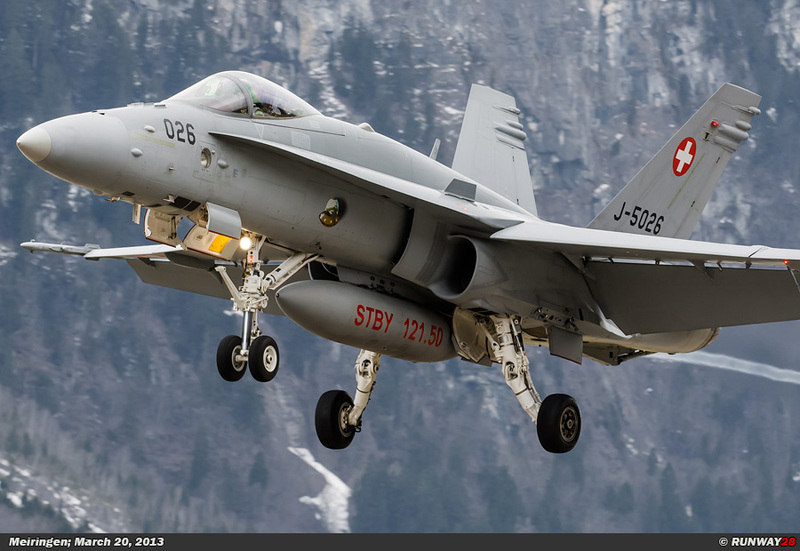 There were two variants developed of this aircraft, namely; the P 3-03 and the P 3-05. Both planes were assigned to the Fliegertruppen. 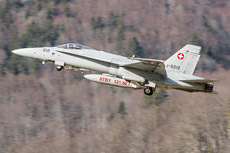 This type ultimately remained in operational service until 1995. 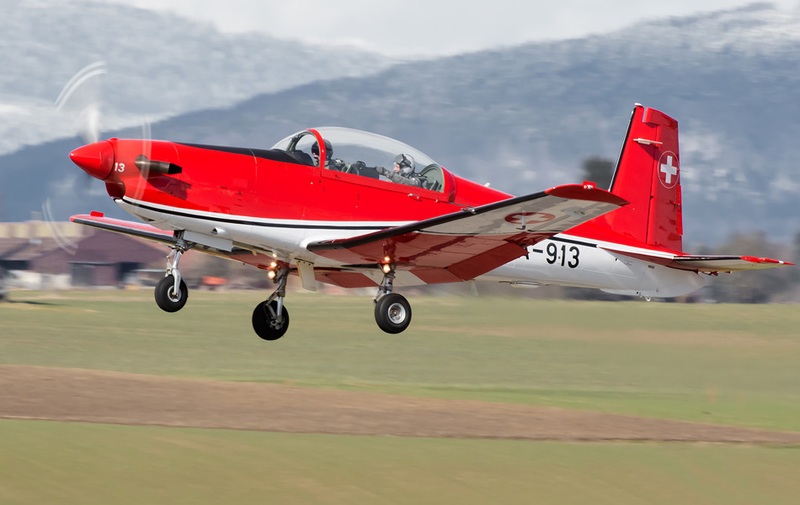 Pilatus has started a new project to become a major player on the market of modern training aircraft. 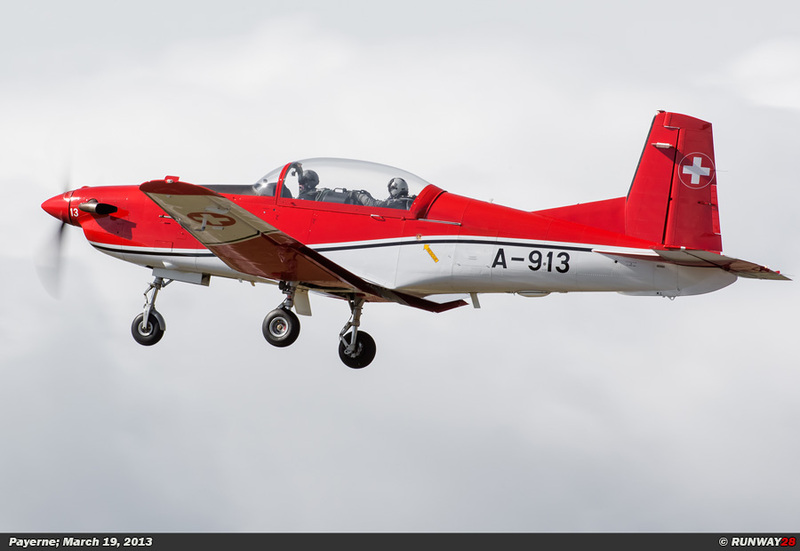 This project aimed to develop a lightweight aircraft with lots of power which was suitable for the advanced elementary pilot training. 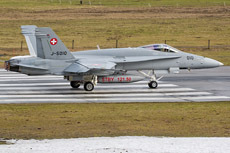 The aircraft had a robust chassis with a high endurance capability for heavy landings of new pilots during their training. 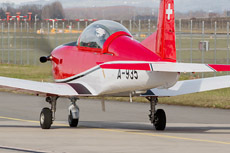 Also, the aircraft had a tandem cockpit and the plane would fly a lot more economical compared to its predecessor. 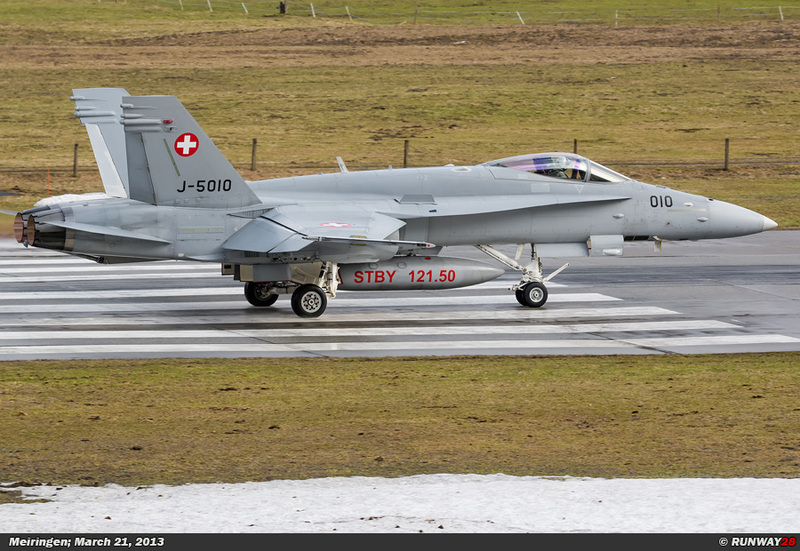 In addition to these features, the new aircraft was also very easy to control. 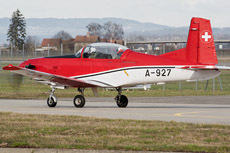 This was a property which made the aircraft popular on the market. Reducing training costs was an important issue for new training aircraft. 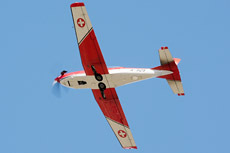 The aircraft was the first of its class which was equipped with a turboprop engine. This engine made the aircraft able to fly economical and weight of the aircraft was kept low. The new aircraft of the Pilatus factory became known as the Pilatus PC-7 Turbo Trainer. was launched. 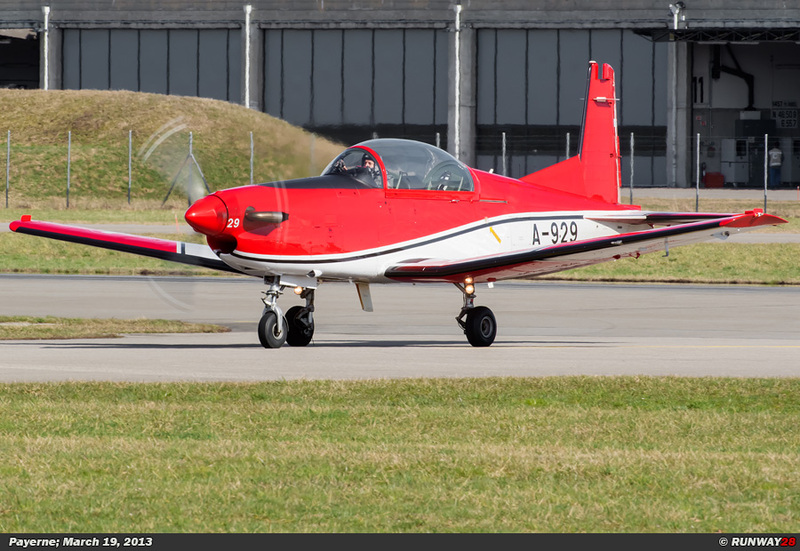 The PC-7 would soon be a popular plane, because the aircraft was exported to various countries. 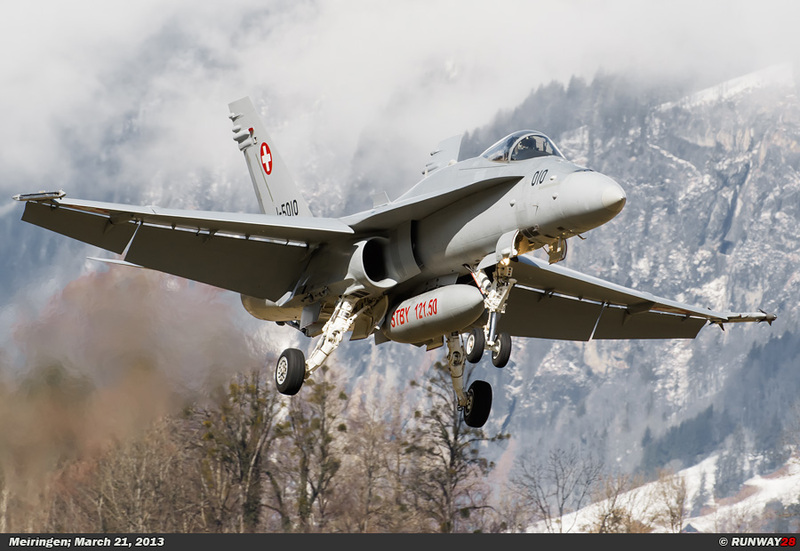 In 1981, the Swiss Air Force placed an order for the delivery of 40 aircraft. 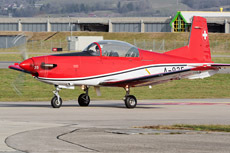 The aircraft would replace the outdated Pilatus P-2. 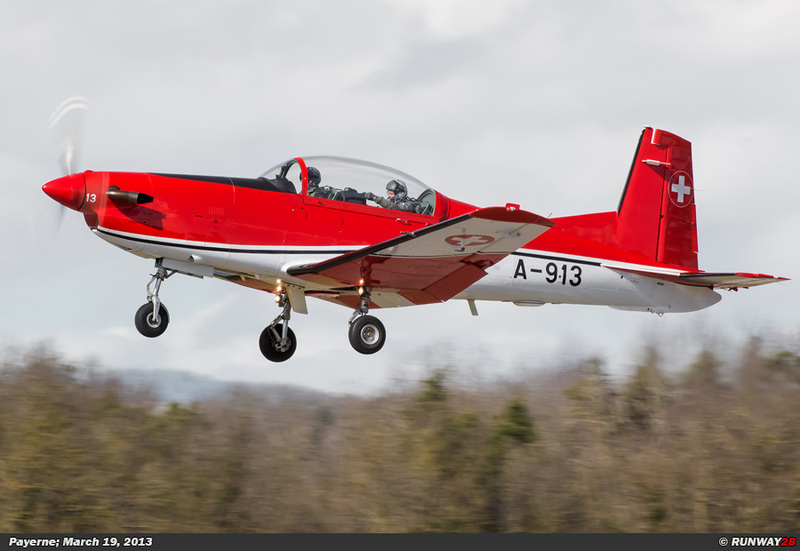 The PC-7 was immediately used as a training aircraft for basic pilot training and instrument flight training. The 40 aircraft were all delivered in a bright orange color which made the aircraft clearly visible in the sky. 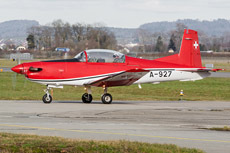 In October 2006, the first two PC-7s were converted to NCPC-7. 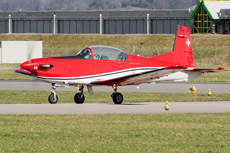 The abbreviation NC stands for New Cockpit in the type designation NCPC-7. 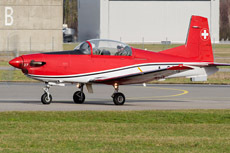 The planes received a glass cockpit with GPS and a 3-axes autopilot. 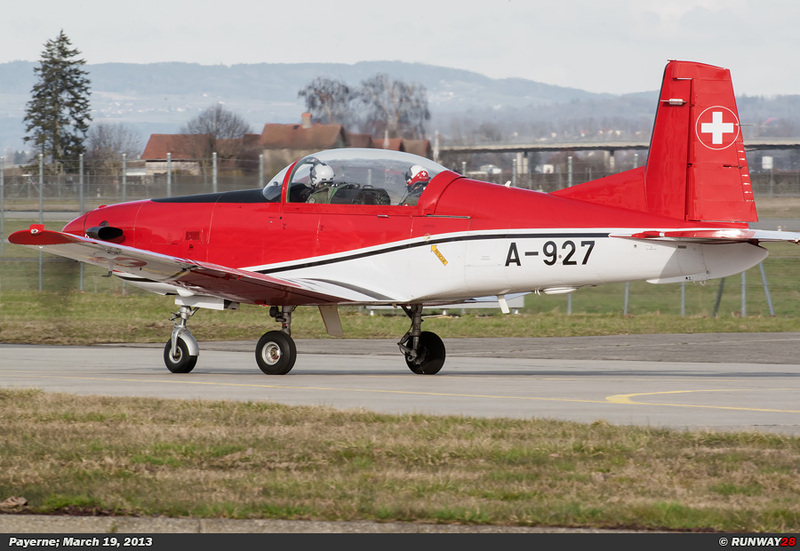 The aircraft were all electronically updated to the PC-9M and the PC-21 standard. 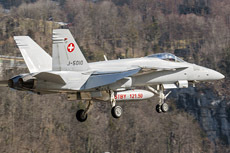 The first batch of 18 aircraft would be updated to this standard from February 29, 2008. 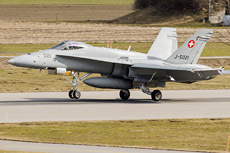 A total of 28 aircraft would be updated; the remaining 12 aircraft were phased out. The entire modernization program was completed at the end of 2009. The new PC-7s were all sprayed in a red color scheme instead of the previous orange color of the aircraft. 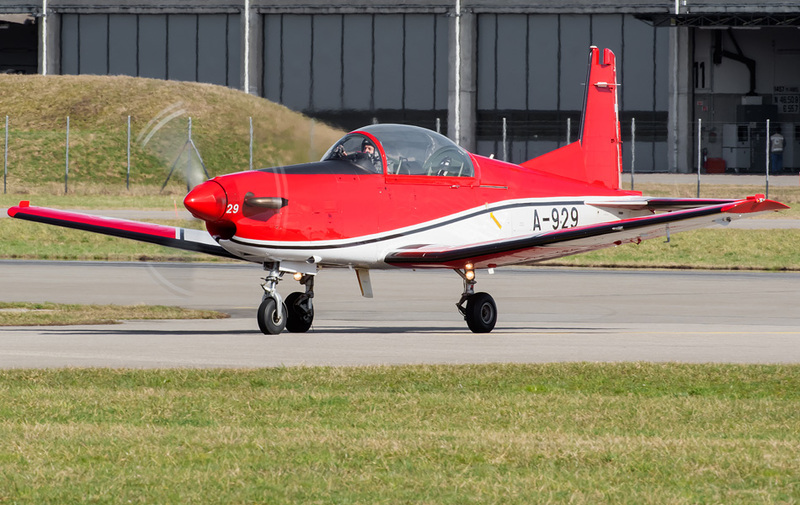 The first aircraft which a recruit of the Swiss Air Force will see when he or she is selected to become a pilot is the Pilatus PC-7 Turbo Trainer. 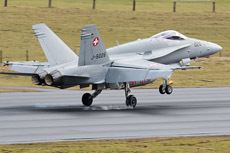 Once the recruits have past the military training at Dübendorf airbase, they come to Emmen airbase to start with the basic pilot training. 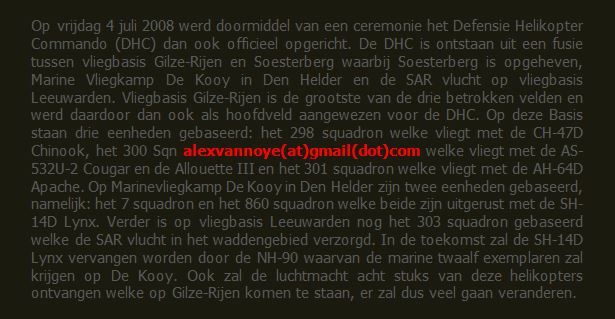 The basic pilot training is part of the Commando Pilot School which is stationed at Emmen. 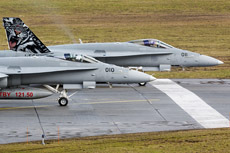 The basic pilot training is part of Instrumen- tenflugstaffel 14 which is also stationed in Emmen. 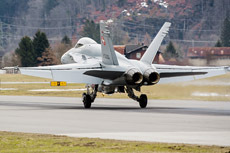 The unit also has regular detachments at Payerne airbase in the west of the country. 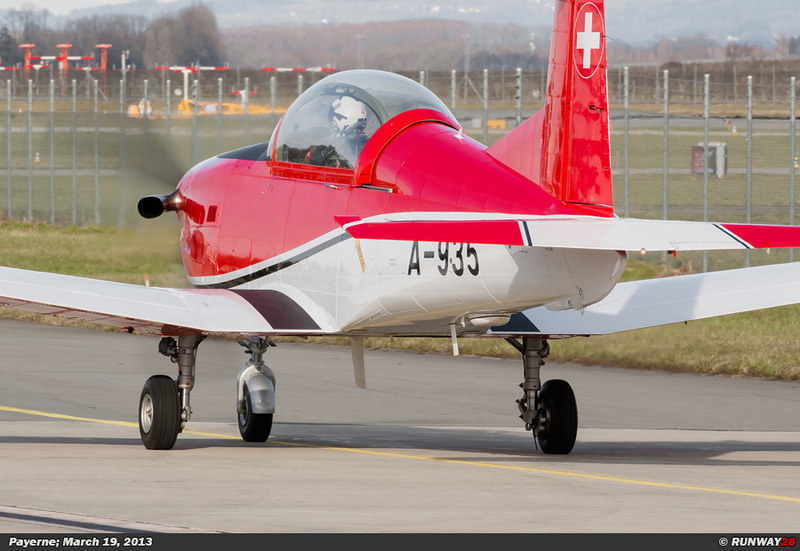 Instrumentenflugstaffel 14 is now equipped with the Pilatus NCPC-7 Turbo Trainer. 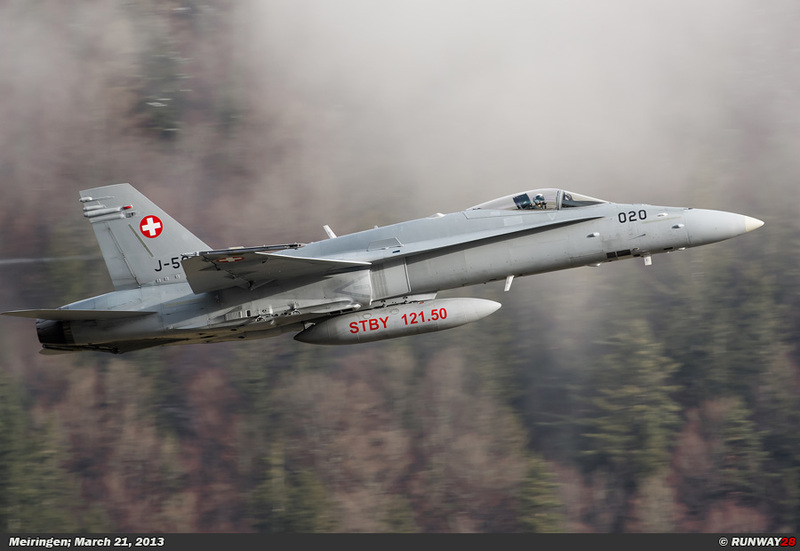 The complete training of military pilots for the Swiss Air Force takes 5 years and 4 months. The first three years and four months are used to train the pilots during extended elementary flight training. This part of the training is the same for commercial pilots. 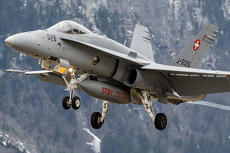 The military pilot training lasts two years. 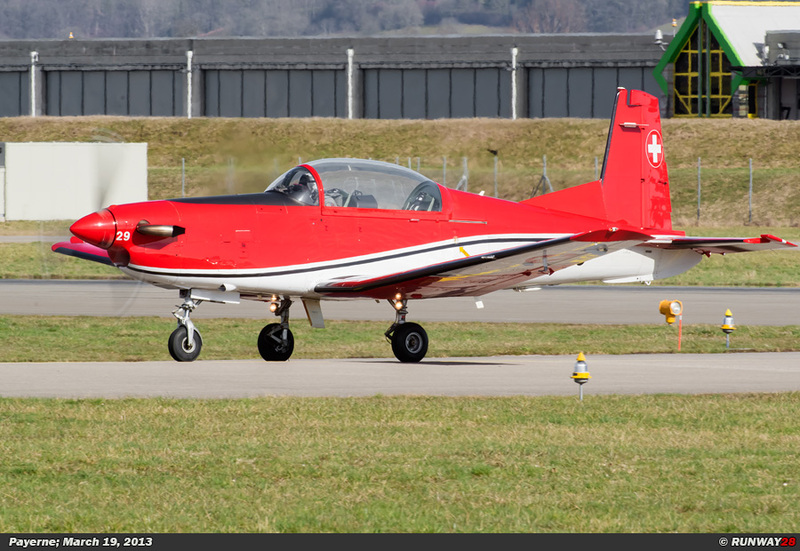 This training consists of 30 weeks of flying with the NCPC-7 and 45 weeks with the PC-21. 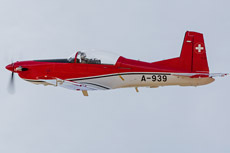 The recruits learn to fly for the first time during the 30-week training on the PC-7. 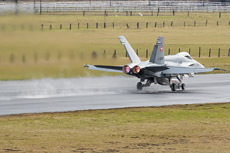 They learn various basic aspects of flying such as take-off, landing and basic maneuvers. At the end of the 30-week training, the pilots also learned to fly on instruments in accordance with military procedures and guidelines. 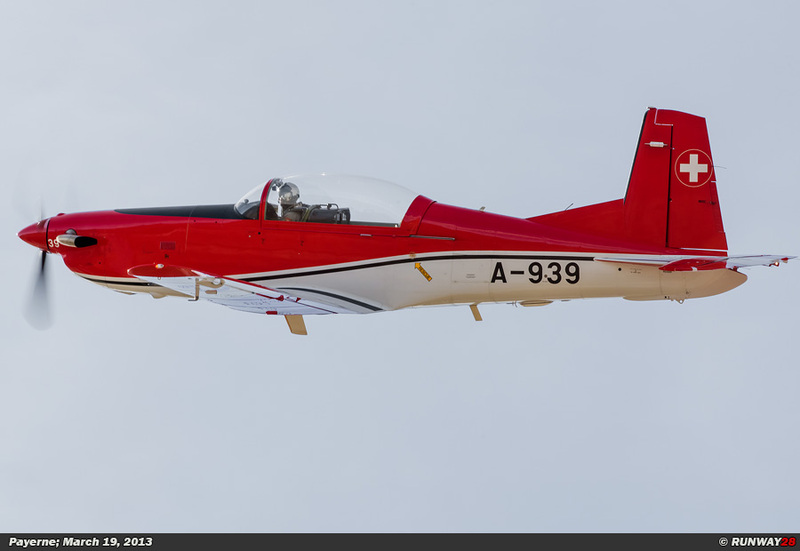 The PC-7 is a lightweight aircraft which is well suited for basic pilot training. 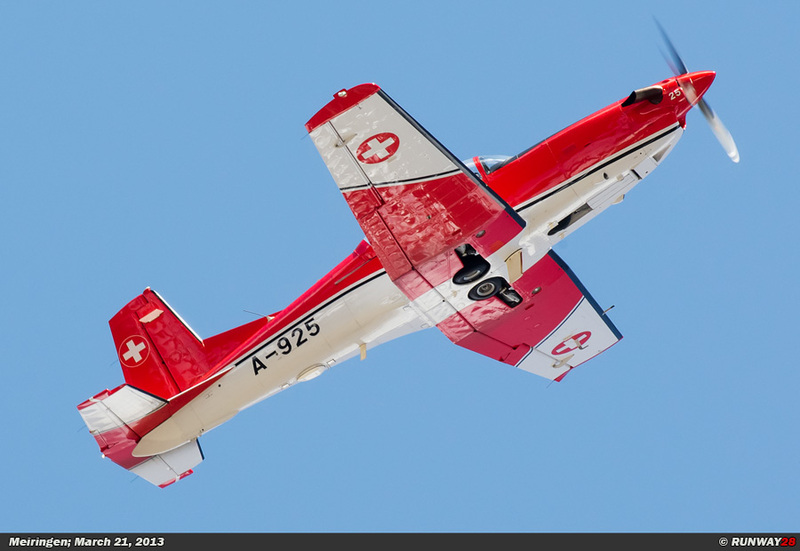 In addition to the operational tasks of Instrumentenflugstaffel 14 with their NCPC-7s, also the Swiss PC-7 display team flies with this type. 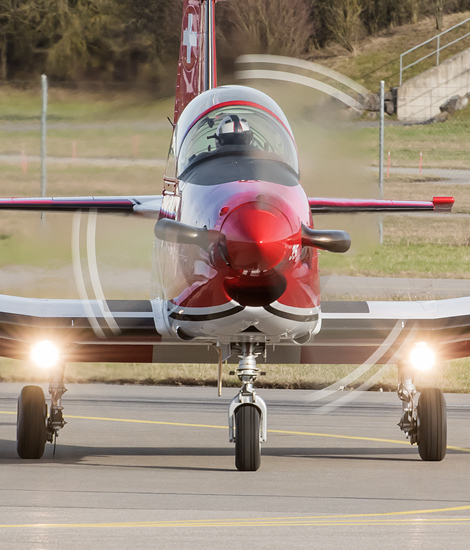 The PC-7 display team flies at various demonstrations and airshows and shows what the recruits learn during basic pilot training. 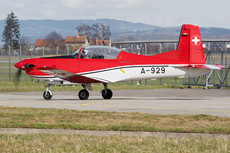 The PC-7 team has no official home base. 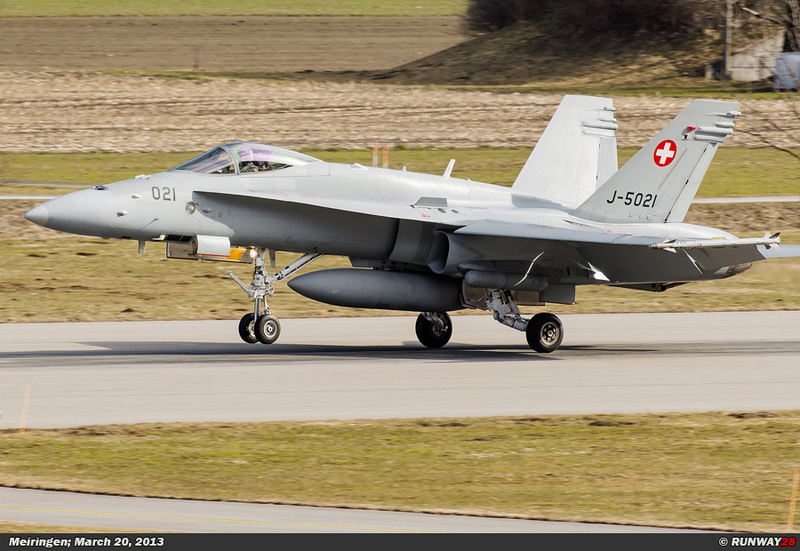 A large part of the year, the team will train at Locarno airbase in southern Switzerland. 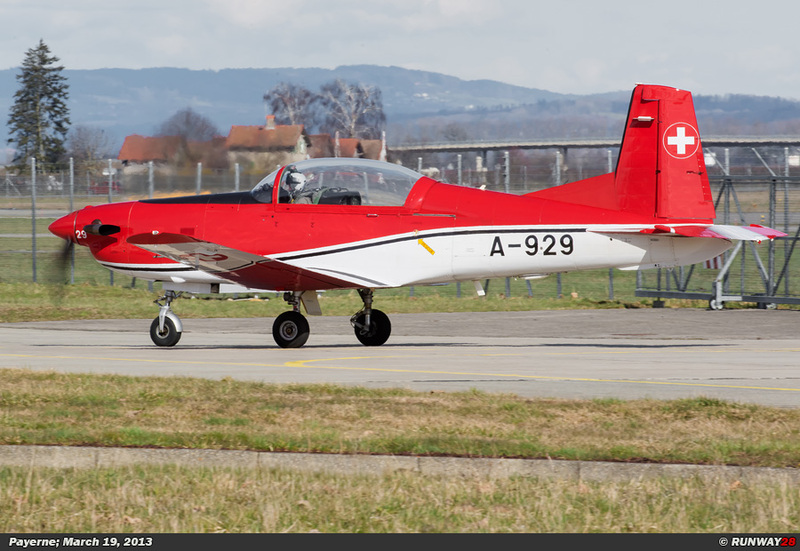 Dübendorf airbase plays an important role too for the PC-7 team in the recent years. Dübendorf is topographically seen more suitable for training compared to Locarno, because the area here is much flatter. The area around Dübendorf is outside the Alps. 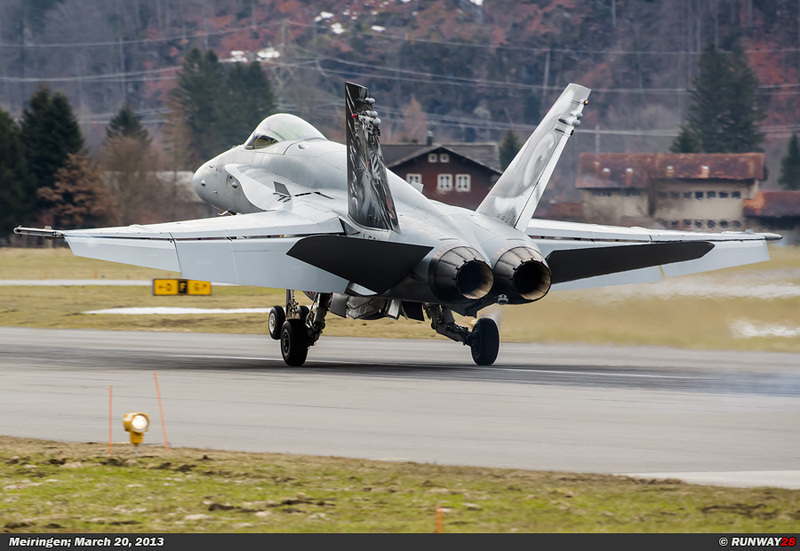 Dübendorf is therefore a better training environment for the display team. 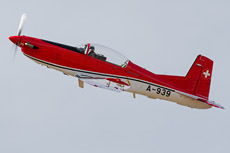 The team shows aerobatics at the highest level during airshows and demonstrations. 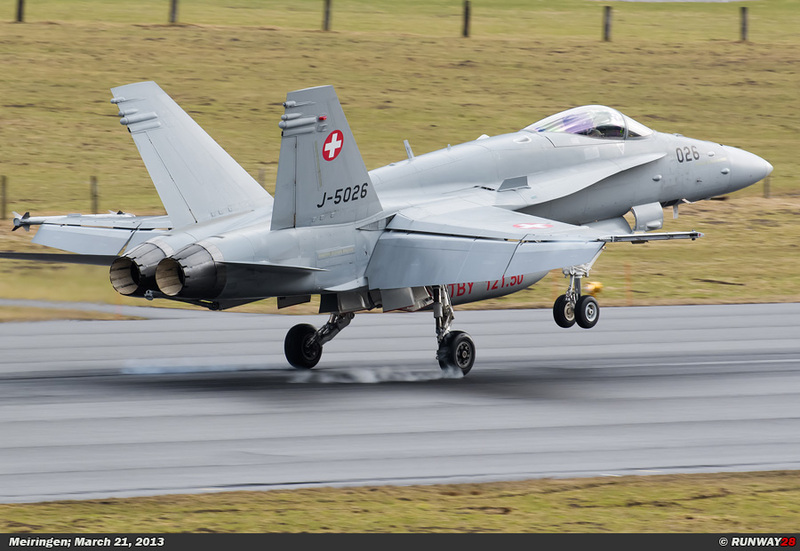 Members of the display team consist of highly experienced instructors and professional pilots who fly the F/A-18 Hornet in Payerne and Meiringen. 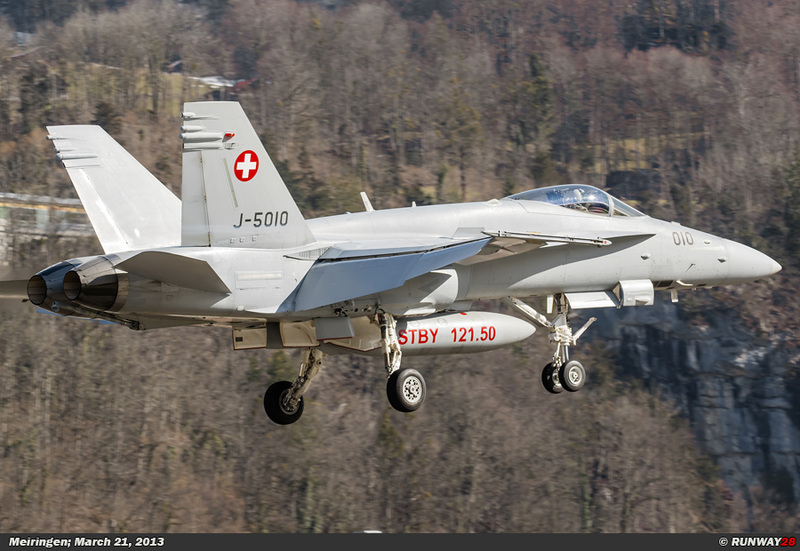 The pilots show all aspects of formation flying and are well trained. 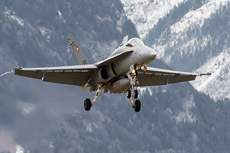 The team consists of nine aircraft which fly in a very tight formation during the demonstration. 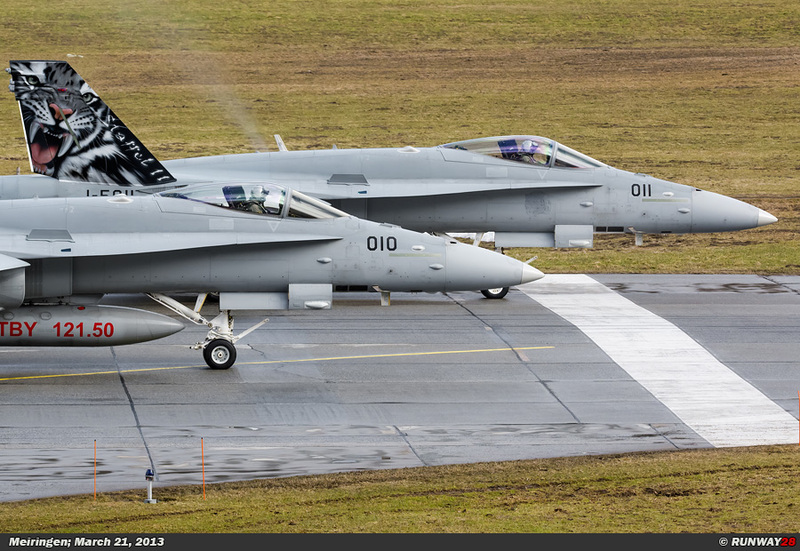 Formation flying with a large group of aircraft requires an iron discipline of the pilots. 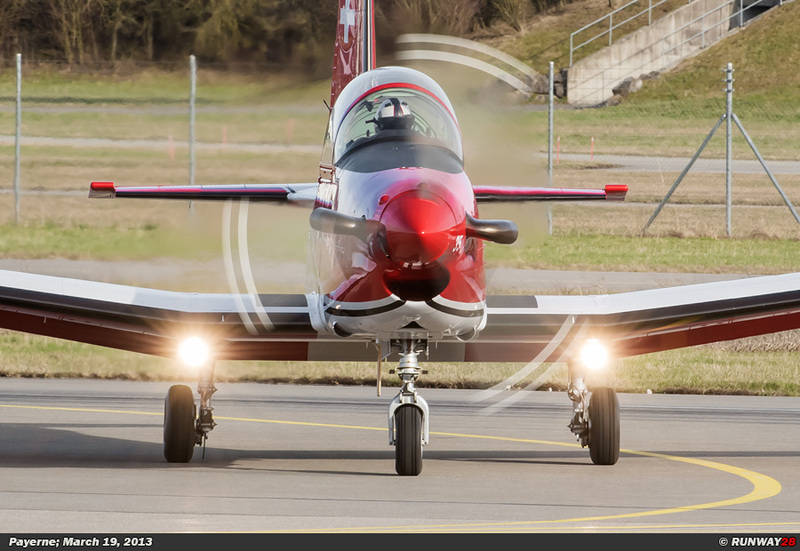 The tight formation work shows that delivering teamwork is one of the most important characteristics of a good pilot. 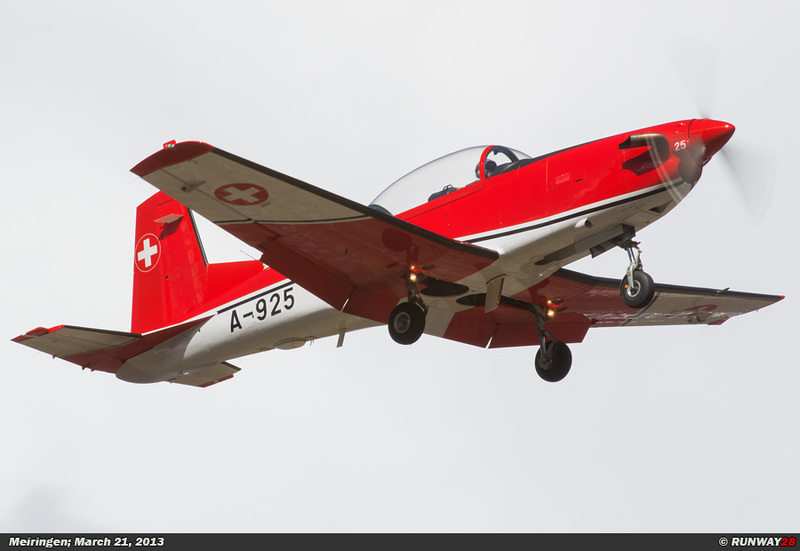 The PC-7 team from Switzerland is a familiar sight at various airshows in Europe. 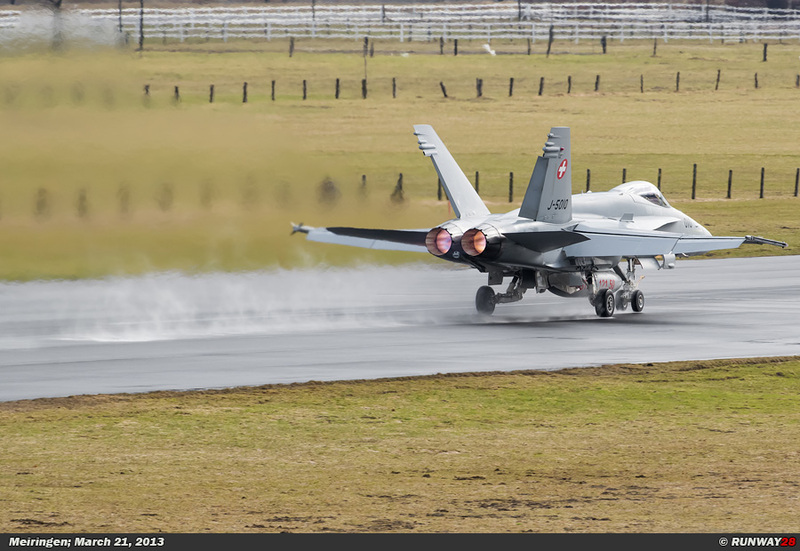 Usually, the team will perform their demonstrations together with the F/A-18 solo display during an airshow. 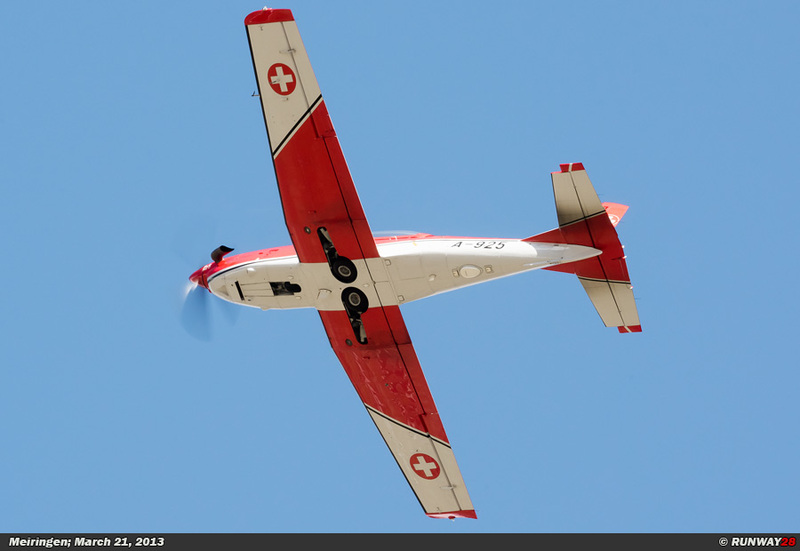 The 28 NCPC-7s of Instrumentenflugstaffel 14 and the PC-7 team play an important role within the Swiss Air Force when it comes to training and demonstrations.